Special Containment Procedures: SCP-1492 is currently impounded in the Site-47 Anomalous Vehicle Containment Bay with tires and battery removed. Personnel are reminded not to bring precious minerals or stones within fifty meters of the vehicle at any time. 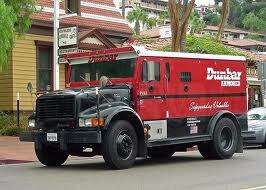 Description: SCP-1492 is a civilian-model armored car which has been modified for use in anomalous larceny. The passenger's seat has been replaced with an experimental target acquisition and teleportation device that Foundation technicians have thus far failed to replicate. When activated, the device identifies nearby objects of value out to a range of roughly forty meters and transports them into the rear cargo compartment regardless of intervening materials or subject mass. 200 wedding rings, various styles IOU the chance to say 'Yes,' and mean it.